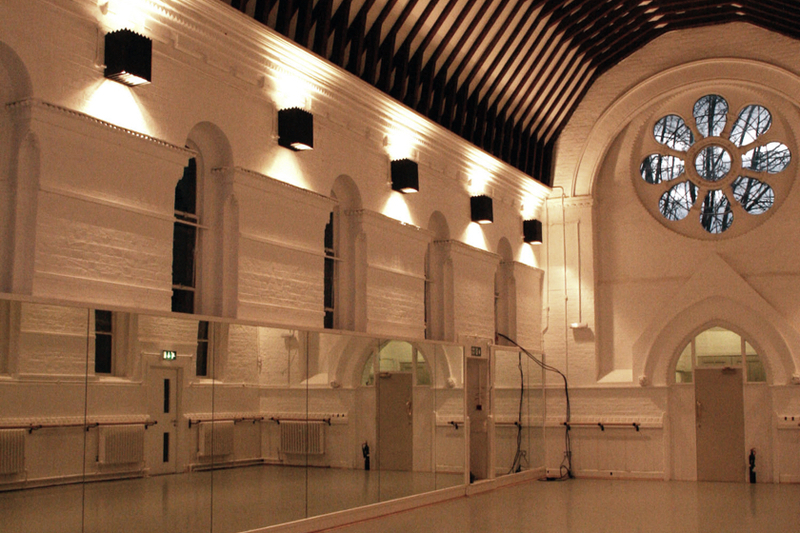 For all information about weddings at Rambert School, please click here. 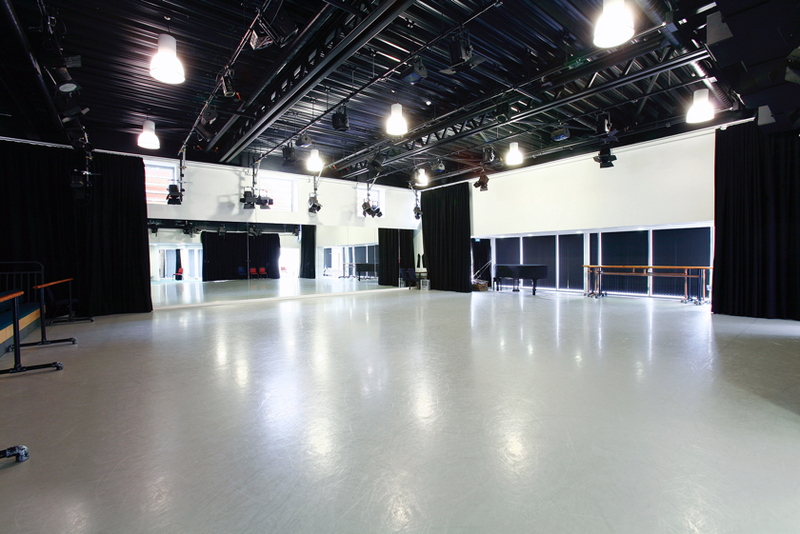 The largest of the studios offering removable audience seating and a theatrical lighting rig. 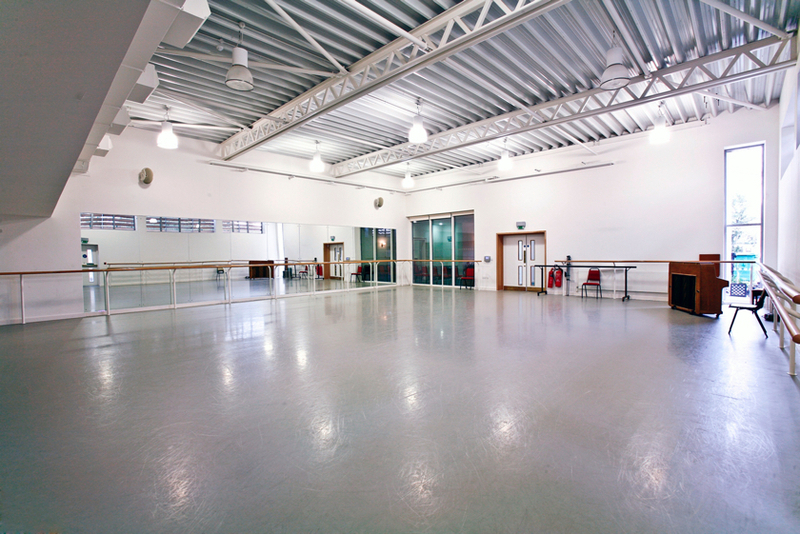 The space is ideal for shows, rehearsals or conferences where a theatre setting is required. 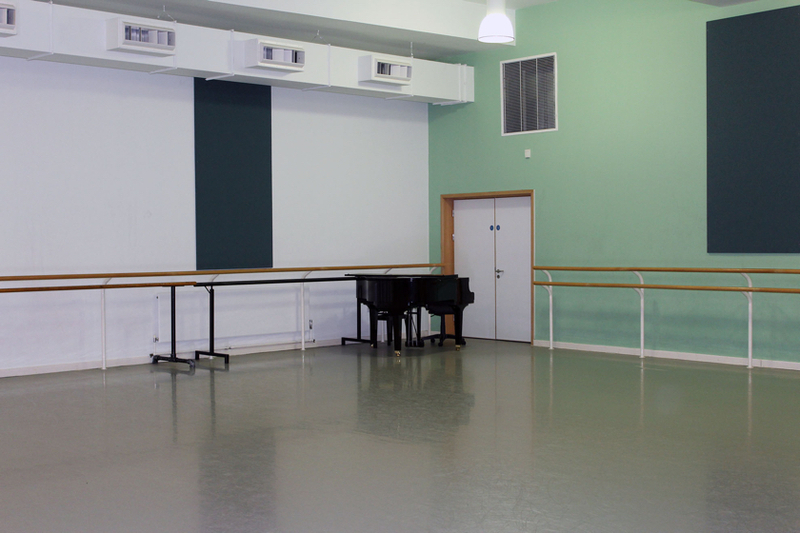 One of the larger studios ideal for larger groups. 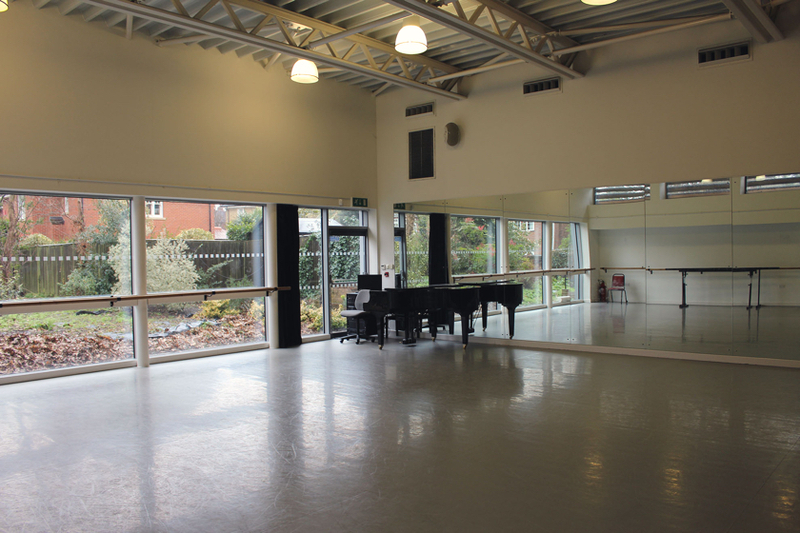 Mirror Wall, Barres, Sound System, Piano, temperature controlled. Another good sized studio Set in the basement of the Clifton Lodge site. The smallest of the five studios making it ideal for working with smaller and more intimate groups. A full length window down one side gives views of the surrounding grounds while also offering a great source of natural light into the space. Situated in the Violet Needham Chapel boasting original features and a high timbre beam ceiling. Mirror Wall, Barres, Sound System.